The EmDrive, it’s fair to say, is just a little bit controversial. There has been no shortage of articles written about why it seems too good to be true. It’s been touted as a “reactionless thruster” that can seemingly produce thrust from nowhere. The cone-shaped device seems to break most of the known laws of physics, hence the controversy. If it worked as advertised, it could make interstellar missions pretty feasible. So a new paper presented at the Aeronautics and Astronautics Association of France’s Space Propulsion conference this week is sure to cause a bit of a stir. Researchers led by Martin Tajmar from the Dresden University of Technology in Germany have been investigating the thruster as part of their SpaceDrive project. And initial results suggest that the force reported in previous EmDrive experiments may not be the result of some magical invisible force, but rather the interaction of cables and Earth’s magnetic field. This wouldn’t be the first time scientists have been stumped by an outside source. Back in 2015, astronomers discovered that a mysterious signal they had been recording from the distant universe was actually the result of a nearby microwave oven. The goal of the project is to try and eradicate all false positives for the EmDrive, to see if it actually stands up to science. They’re also investigating another type of propulsion called the Mach Effect Thruster, a concept where some of the force applied to a body to accelerate it is stored as energy. Results on that at the moment are too early to say. “We continue to improve our measurement setup and thruster developments in order to finally assess if any of these concepts is viable and if it can be scaled up,” the researchers said. 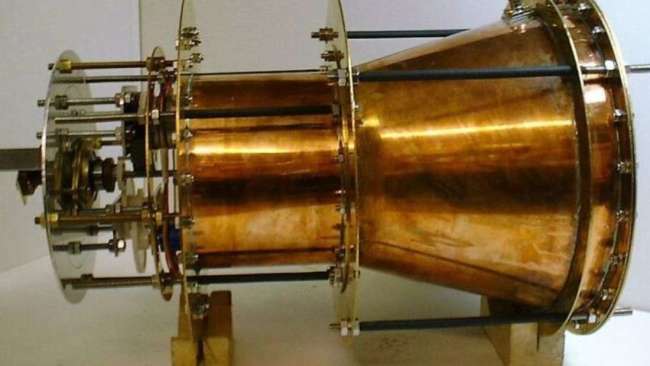 At the moment, however, it doesn’t look great for the EmDrive, which would be welcome news to some who have bemoaned the fantastical nature of this thruster – and a kick in the teeth for others who have backed the idea of propellantless propulsion.